The Russian River originates in the redwood forests of Mendocino County and winds its way gently south thorough Sonoma County. One of the wildest spots on the main stem of the Russian River is towards the end, near its mouth. Here the waters widen, fresh water mixing with the tidal flows of the ocean, and the influences of two dynamic ecosystems merge. Pain is the most common reason for trips to the doctor’s office. So it makes sense that pain treatment is a huge part of our healthcare system, costing more than 100 billion dollars a year. But how exactly pain works is still a mystery in many ways. Like any normal 9-year-old, Maddie Burkhardt was playing outside with her friends last summer, racing around in a pedal go-cart. “And my foot slipped and it went under the go-cart. Like it got bent backwards,” she says. Maddie broke a bone in her foot. So, her mom, Danielle, took her to see a podiatrist, who put her in a series of casts. “And every time he took the cast off, he said ‘ok, you should feel much better now.’ And she was just like ‘no, it’s killing me,” says Danielle. As the weeks went by, it became clear that Maddie’s pain wasn’t normal. “She would not allow anything to touch her foot at all. And we didn’t really know what was going on,” says Danielle. Even a light touch, like the wind blowing, was incredibly painful. “It felt like there was knives in my foot. Like a big elephant smashing on your foot or something,” says Maddie. Maddie was diagnosed with complex regional pain syndrome and ended up in a special treatment program at Lucile Packard Children’s Hospital in Palo Alto. But sometimes, our body’s warning system goes haywire, like in Maddie’s case. Nerve cells send out pain signals even when there’s no reason to. “It’s a terrible pain problem,” says Dr. Krane. “And it’s one that we really don’t understand the origins of. And because we understand so little about it, our therapy of it is also very rudimentary. Krane says Maddie, like most patients, went through a slew of treatments, like physical therapy and pain medication. It took months to recover. “I can’t exactly run really yet, but I can walk faster and I can play with my friends and do a lot more,” Maddie says. For the most part, doctors rely on opiates like morphine to control pain. But those drugs aren’t very targeted. The challenge is that pain is very difficult to study. “There’s other things and other processes in the body which are measurable in some objective fashion: heart rate, blood pressure, temperature. But how do you measure pain?” asks Dr. Krane. Bautista is an assistant professor of biology at the University of California-Berkeley. She’s peering into a large plastic tub filled with dirt. A star-nosed mole at UC Berkeley. Photo: Kristin Gerhold, Bautista Lab. 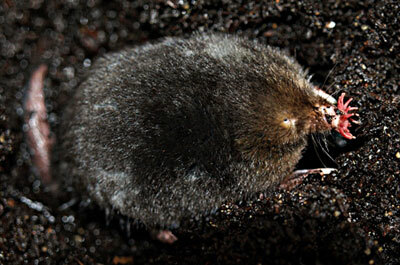 Star-nosed moles have a very unique look. Their large pink nose has 22 finger-like tentacles that they use to feel for food in the dark tunnels where the live. “What we don’t see, that you need special high-speed video to see, is that they’re actually tapping very rapidly the surface,” says Bautista. That lack of sensitivity in human skin makes it difficult to study pain, because our nerve endings are so spread out. 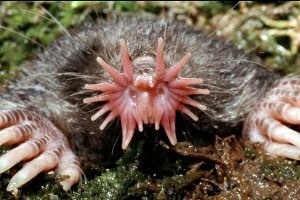 That’s where the star-nosed mole comes in. Its star is densely packed with light touch cells, but not a lot of pain cells. So Bautista says, studying tissue samples of the mole’s star can reveal the differences between nerve cells. “How does one cell feel the prick of the pin and the other feel the feather? We don’t know what happens in those nerve endings,” says Bautista. Bautista says knowing what happens in normal nerves can tell a lot about when nerves don’t work normally – like when diabetes patients experience numbness or cancer patients have hypersensitivity. That comes down to the biochemistry inside the cells. For that, Bautista is also studying another organism. “These are Szechuan peppers that are from the Chinese prickly ash,” Bautista says, handing me the peppercorns. As I chew, my tongue becomes slightly numb. “It feels like a little buzzing, tingling sensation,” says Baustista. The peppercorns aren’t hot, but they do have chemicals that are working on my sense of touch. “We know that they target special receptors and cause those nerves to be excited just as if somebody was tickling your tongue,” says Bautista. That’s a trick that humans could copy. “By indentifying the molecular mechanisms, we could really go in and design better drugs and come up with better therapies and alternatives for treating conditions like chronic pain,” she says. Bautista hopes the research will lead to more targeted pain drugs, so patients like Maddie Burkhardt will have an easier recovery.